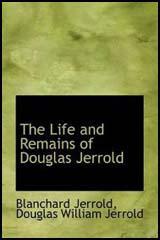 Douglas Jerrold, the son of the actor, Samuel Jerrold, was born in London in 1803. At the age of ten he joined the navy but he was deeply upset by the way the officers treated the men on board ship. Jerrold was particularly horrified by the way officers flogged the men from minor offences and this gave him a life-long hatred of authority. After a couple of years in the navy Douglas Jerrold left to became a printer's apprentice. After completing his training Jerrold became a compositor on the Sunday Monitor but he eventually rose to become the newspaper's drama critic. Jerrold developed a strong interest in the theatre and began writing plays. After the success of Paul Pry in 1827, Jerrold became the resident playwright at the Coburg Theatre. Successful plays that he wrote during this period included Fifteen Years of a Drunkard's Life (1828), Black-Eyed Susan (1829), The Mutiny of the Nore (1830) and the Prisoner of Ludgate (1831). Jerrold retained his interest in journalism and in 1831 started the journal Punch in London. However, it ceased publication after seventeen issues. In June, 1841, Douglas Jerrold joined with Mark Lemon , Henry Mayhew, and John Leech to form Punch Magazine. Like Jerrold's original Punch in London, the plan was to produce a magazine that combined satirical humour and political comment. 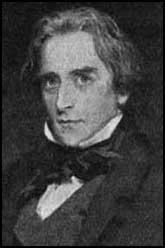 Jerrold shared Mayhew concern with social reform and using the pseudonym Q, wrote several powerful attacks on inequality in 19th century Britain. Jerrold's sympathy for the underdog and his strong criticisms of the Tories, was the main reason why during the 1840s Punch Magazine achieved a reputation as a radical journal. Jerrold lost a sympathetic colleague when Henry Mayhew left Punch Magazine in 1845. Jerrold clashed with those members of staff who supported the Tories. This included William Makepeace Thackeray who cruelly attacked Jerrold by telling him that, "It takes three generations to make a gentleman." In 1846 Jerrold wrote to his friend Charles Dickens and complained about how the magazine was now concentrating on humour: "I am convinced that the world will get tired (at least I hope so) of this eternal guffaw at all things. After all, life has something serious in it." Dickens was a great admirer of Jerrold's work and described his The Story of a Feather "a beautiful book". Douglas Jerrold wrote a large number of political and humorous articles for Punch Magazine over the next sixteen years. This included material that appeared under the headings: Q Papers, Punch's Letters to his Son and Mrs. Candle's Curtain Lectures. 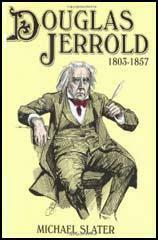 Jerrold also contributed for other journals and worked as a sub-editor, under Charles Dickens, on the Daily News. Jerrold also edited the Illuminated Magazine (1843-44), a journal published by his radical friend, Herbert Ingram, Jerrold's Shilling Magazine (1845-48) and Lloyd's Weekly Newspaper (1852-57). When Douglas Jerrold died in 1857 his son, William Blanchard Jerrold (1826-84), replaced him as editor of Lloyd's Weekly Newspaper. Jerrold shared his father's concern with social reform and worked with Gustave Dore on the influential book, London: A Pilgimage (1872). (1) Douglas Jerrold, letter to Charles Dickens in 1846. Punch, I believe, holds its course. Nevertheless, I do not very cordially I am convinced that the world will get tired (at least I hope so) of this eternal guffaw at all things. After all, life has something serious in it. It cannot be all a comic history of humanity. Unless Punch gets a little back to his original gravities, he'll be sure to suffer. (2) M. H. Spielmann wrote about his colleague on Punch Magazine, Douglas Jerrold, in 1895. Douglas Jerrold was certainly the most brilliant professional humourist of his generation. It was with the 'Q Papers' that he produced his strongest and most withering writing, and oftentimes some of his weakest sense. With his soft heart melting for the poor, and his fiery hatred of oppression warping his better judgment, he was led into that unreasonable attack upon property and authority to which Thackeray depreciatingly alludes. Because the poor are unhappy, according to his philosophy, therefore are the rich, most of them, their direct oppressors, and ruling bodies, tyrants. It was he, more than anyone else, who forced on Punch that mixture of Radicalism and Whiggery. Do you read the Morning Chronicle? Do you devour those marvellous revelations of the inferno of misery, of wretchedness, that is smouldering under our feet? We live in a mockery of Christianity that, with the thought of its hypocrisy, makes me sick. We know nothing of this terrible life that is about us - us, in our smug respectability. To read of the sufferings of one class, and the avarice, the tyranny, the pocket cannibalism of the other, makes one almost wonder that the world should go on. And when we see the spires of pleasant churches pointing to Heaven, and are told - paying thousands to Bishops for the glad intelligence - that we are Christians!. The cant of this country is enough to poison the atmosphere. I think you will agree to be one of the most beautiful records of the nobility of the poor; of those whom our jaunty legislators know nothing. I am very proud to say that these papers of Labour and the Poor were projected by Henry Mayhew, who married my girl. For comprehensiveness of purpose and minuteness of detail they have never been approached. He will cut his name deep.